Some couples going through a divorce don’t have children, but they would argue they do. Many couples with pets consider their pets to be their children. When going through a divorce, those couples want to make sure they can still see their pet even after the divorce. So, is there such thing as pet visitation in divorce? Judges in DuPage, Kane, Will, or Kendall counties will not litigate and decide visitation or custody matters for pets. 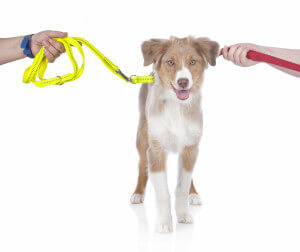 Parties can agree to a visitation schedule for their pets, however, and incorporate that into a settlement agreement. If pet visitation is one of your concerns, contact your family law attorney to ensure a provision is added into your settlement.